FAVORITE BEAUTY ITEM: Pureology's Colour Fanatic. 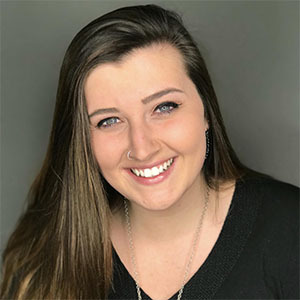 WHY WE LOVE MEGAN: She lights up around people; loves the outdoors, summer and camping; and she is attending Ferris State for the Dental Hygiene Program. Megan can't wait to meet you!